WELCOME TO SCHOLASTIC ANGLERS′ HOME ON THE WEB! PUT YOUR SCHOOL'S PRIDE ON THE LINE! Here, you will be able to get news, information, updates, schedules, results, standings, rules and much, much more. Check back frequently for the latest information about the Scholastic Anglers Interscholastic Sport Fishing Program, the Scholastic Anglers Challenge, Scholastic Anglers Workshop Series, the Scholastic Anglers Tournament Series, the Scholastic Anglers Championship, and the all new Scholastic Anglers Championship Classic. In addition, the official Scholastic Anglers Website will feature student-angler accomplishments and points of pride. Please tour our website for the latest on organized interscholastic sport fishing at the school level for student-anglers in grades six (6) through twelve (12). The 2017-2018 Scholastic Anglers Season will begin Thursday, September 21, 2017. The initial Scholastic Anglers Workshop will layout information, guidelines, rules, and locations for the 2017-2018 Scholastic Anglers Challenge. Subsequent Scholastic Anglers Workshops will be held on the third Thursday of each month throughout the school year at Boater's Marine, 1829 Williams Road, Monroe, NC 28110. There will be a Scholastic Anglers Tournament Series Event during each of the six grading periods during the school year. Due to weather conditions there are a few modifications. The Scholastic Anglers Championship and Scholastic Anglers Classic is set for Saturday, June 2, 2018. The 2017-2018 Scholastic Anglers Leader Board will be up-to-date and current revealing the most accurate standings to the best of our ability. Any late breaking pertinent news such as inclimate weather, delays, changes, or newsbreakers will be displayed here. There is not a designated season for interscholastic sport fishing. The Scholastic Anglers Challenge and Scholastic Anglers Season runs throughout the entire academic year. Now is a great time to join in as we offer student-anglers in our schools an opportunity of education and competition other than traditional sports and athletics. Scholastic Anglers is where schools form sport fishing teams, doing something that keeps them positively involved with something at their school. Student-anglers compete both as an individual and as a school team. Points are earned for the Scholastic Anglers Challenge through catching, photographing, releasing, and entering fish, school meeting/practice attendance, Scholastic Anglers Workshop Series attendance, Scholastic Anglers Tournament Series participation, and school-specific team meeting/practice attendance. Throughout the 2017-2018 school year and Scholastic Anglers Season, there will be multiple opportunities for student-anglers to earn extra-credit bonus points. Every fishing related accomplishment counts...and every point is valuable!!! As more schools adopt interscholastic sport fishing as a sport, school spirit, school pride, new rivalries and long lasting traditions transcend into a whole new realm. Scholastic Anglers also attracts student-anglers who might not otherwise be involved in traditional sports and athletics, while parents can now cheer at a school event. 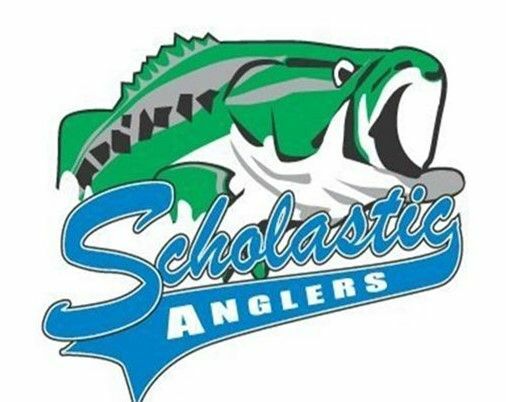 Up for grabs is the Scholastic Anglers School Of The Year, the Scholastic Angler Of The Year, the Scholastic Anglers Elite Eight, and the Scholastic Anglers Classic which will be held on Saturday, June 2, 2018. The benefits of the Scholastic Anglers Program is far reaching, not only in the sport of fishing, but the academic realm as well: the sciences, mathematics, social studies, reading, writing, and water/boating/sun safety. Scholastic Anglers places a tremendous focus and emphasizes the Content Area of Character Education. In addition, new rivalries are developed, long lasting traditions are created, the opportunity to meet new friends, enjoy great outdoor competition, with lots of fantastic prizes, awards, recognition, honors, and trophies. Now, looks like a great day to Put Your School's Pride On The Line! The forecast looks like a great time and opportunity to participate in a new school sport! !! !OFFICIAL TITLE SPONSOR OF THE 2017-2017 SCHOLASTIC ANGLERS CHAMPIONSHIPS!!! ATTENTION SCHOOLS, TEACHERS, PARENTS, AND SCHOLASTIC ANGLERS!!! IT IS THAT TIME OF YEAR ONCE AGAIN. THE START OF THE 2018-2019 ACADEMIC YEAR IS HERE. ONCE THE INITIAL DAYS ARE SETTLED, THE 2018-2019 WILL FALL IN LINE NEXT. THE SCHOLASTIC ANGLERS PROGRAM IS AN OPEN INVITATION TO ANY STUDENT ENROLLED IN ANY SCHOOL AND IN THE SIXTH THROUGH THE TWELFTH GRADE. ONE STUDENT-ANGLER CAN REPRESENT A SCHOOL FISHING TEAM WITH NO MAXIMUMS. EACH SCHOOL TEAM WILL NEED A REPRESENTATIVE TO KEEP A RUNNING TALLY OF EACH INDIVIDUAL SCHOOL TEAM AS WELL AS EACH INDIVIDUAL STUDENT-ANGLER. IF YOU NEED HELP ON HOW TO START A SCHOOL FISHING TEAM PLEASE FEEL TO ASK. THERE ARE ALSO RESOURCES ON THE OFFICIAL SCHOLASTIC ANGLERS WEBSITE ON HOW TO START A SCHOOL FISHING TEAM. OFFICIAL SCHOLASTIC ANGLERS APPAREL NOW AVAILABLE! FISH GOOD...LOOK BETTER! PUT YOUR SCHOOL'S PRIDE ON THE LINE! BE SURE TO REVIEW THOSE EVER-SO-VALUABLE EXTRA CREDIT POINTS TOWARD THE 2015-2016 SCHOLASTIC ANGLERS CHALLENGE! SIMPLY CLICK THE RAYJUS LOGO AND DESIGN YOUR OWN CUSTOM OFFICIAL SCHOLASTIC ANGLERS JERSEY! AVAILABLE IN SCHOOL-SPECIFIC COLOR SCHEMES!